Nam, a dish of sour pork sausage, rice, and deep-fried crunch sticky rice is one of the more traditional Lao dishes available at Asian Fusion Kitchen in Morganton. Laotian food in NC is one of many topics to be discussed at "The State of The Plate." "The State of The Plate" conference brings together students, faculty, entrepreneurs and community members to share conversation and insight about the foodways of North Carolina. NC Catch works to connect the commercial fishing industry with consumers seeking fresh local NC seafood. 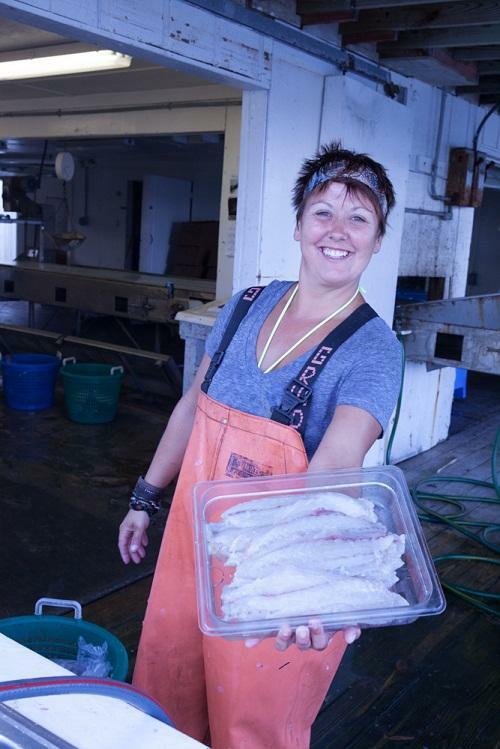 It's helping build networks between fishermen, fish houses, markets, restaurants and local foods advocates. Both spiritual and secular Laotian traditions are supported at the local temple, Wat Lao Sayaphoum. 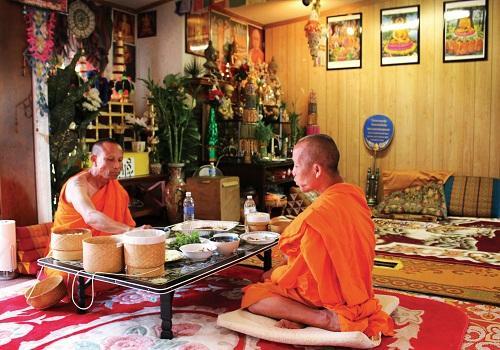 The two resident monks, Somchit Sengdavone (left) and Somphet Souriyavongsa (right), enjoy Laotian food cooked by community members four times a week. 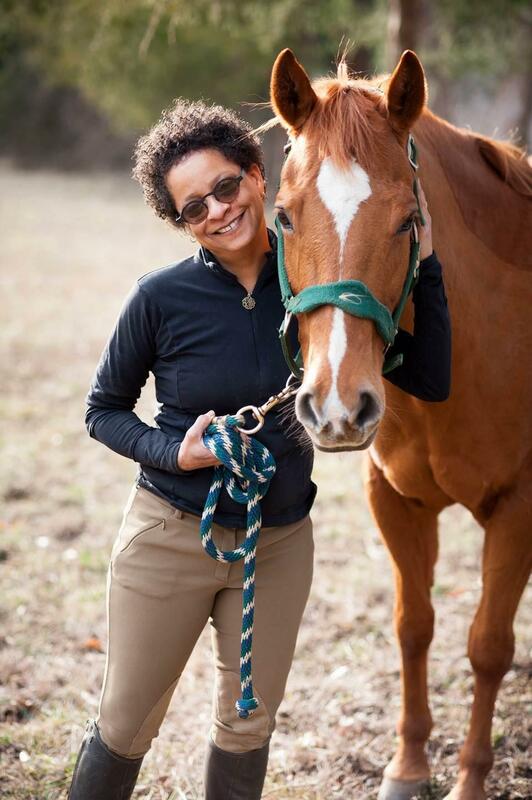 UNC-Chapel Hill American Studies Professor Sharon Holland with her horse "Annie." Holland brings her interested in critical race and gender studies and animal studies to her work on NC foodways. Hot, salty/smoky, sour/bitter, sweet, savory, and sharp: a flavor profile can evoke a particular style of food, and in turn, food can give insight to a community’s public health, history and policies. This week, students, faculty, entrepreneurs and community members at UNC-Chapel Hill gather to explore the history, politics and culture of North Carolina food using the six flavor profiles as a guide. The State of the Plate conference will be held at the FedEx Global Education Center on Friday, March 27 and Saturday, March 28. Host Frank Stasio talks with panelists who study foodways from the mountains to the coast. Marcie Cohen Ferris is the program chair and professor of American Studies at UNC-Chapel Hill who recently authored the book Edible South (UNC/2014). Katy Clune is a master’s student of American Studies/Folklore at UNC-Chapel Hill who studies how a community of Laotian immigrants in Morganton uses food to re-make home, focusing on the story of Asian Fusion Kitchen. Karen Willis Amspacher is the director of Core Sound Waterfowl Museum & Heritage Center in Harkers Island, and Sharon Holland is a professor of American Studies at UNC-Chapel Hill.